When I was a kid, my brothers and I used to love to play the Christmas story from the bible. I didn’t really know it from the bible, though, I knew it from the classic Christmas special, The Little Drummer Boy. My baby doll would be the baby Jesus, I would be Mary, and my younger brother would be Joseph and my older brother would be the little drummer boy. There wasn’t much to our game. Joseph and I would sit there with the baby Jesus, then my brother would come in and ask to play his drum (a coffee can with a string to go around his neck), and that was it. There was another version of the game for when my older brother got tired of playing his drum. 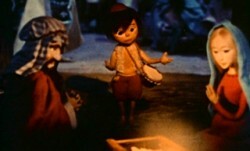 In that version, he took over the role of Joseph, which left my younger brother without a job. The role little brother eventually took was that of God, because as kids we knew that God was vaguely attached to the Christmas story somehow (honestly, it was all quite confusing and a little bit suspect in my young mind… was Joseph this baby’s daddy or not?). But because God was invisible (on this I was quite clear), we had my little brother sit out in the hallway while we played. And because you could not audibly hear God’s voice, he had to sit out in the hall AND not talk. We would wrap up our toys in doll blankets as gifts to the baby Jesus and open them, because we knew that there were gifts in the Christmas story. The whole time my little brother sat in the hall playing the role of God. Eventually he would get bored and wander off, uninterested in something he could not participate in. Oh my goodness. 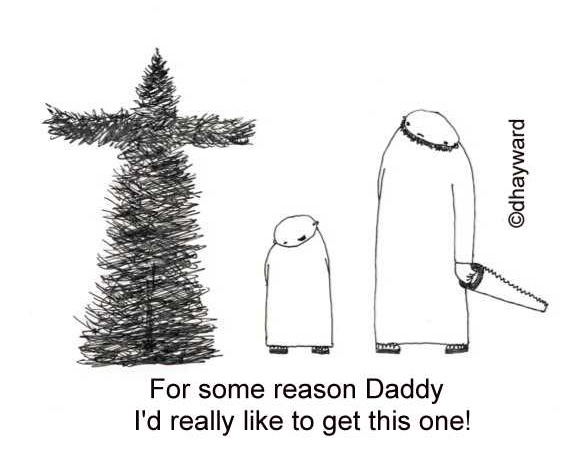 I think we kids got the story pretty close to how Christmas goes for a lot of us. People: please do not dismiss God to the hallway at Christmas time or any time. Do not be distracted by the shiny baubles of this life- overabundant at Christmas, but prevalent yearlong- and miss what is important. Is your faith such that God is a minor player in your life? Out of sight in the hall, forbidden to speak? Is he your Savior, but not your Lord? “What comes into our minds when we think about God is the most important thing about us” says A.W. Tozer. If you only believe enough to allow God access to the hallway, out of sight and out of mind, what good is He? What good is a God of such a small magnitude? Giving God a only nodding acknowledgement is akin to using your computer only for the calculator function. You are missing out on what He can do. It is safer to keep Him in the hall, though, safer to keep an easy, arms-length peace with Him. After all, what comes with a deeper knowledge of God? Real risk. You see, God didn’t come to leave us as we are. He came to change us. That change can be hard, painful, and convicting. It can feel like judgement. It can feel like the truth that we avoid so diligently. The truth that says that there is something lacking, something that could be better, something that we could be pursuing that is beyond the constant disappointment and letdowns of this world. That’s the irony here. We already know that quiet voice of conviction telling us that we are meant for better than we are pursuing. The irony is that the quiet voice of conviction- it’s coming from the hallway.